APC tackles PDP for asking INEC chairman to resign – Royal Times of Nigeria. 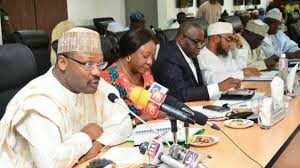 The All Progressives Congress (APC) says the call by the Peoples Democratic Party (PDP) on Mahmoud Yakubu, chairman of the Independent National Electoral Commission (INEC), and Ibrahim Idris, inspector-general of police (IGP), to resign, is suspicious and baseless. PDP national chairman, Uche Secondus, had made the call on Thursday. In a statement on Sunday, APC spokesman, Lanre Issa-Onilu, said the PDP in a bid to hide its inadequacies and undesirability as elections approaches, has chosen to populate the public space with unfounded allegations. Issa-Onilu said the APC will defend and stand for a participatory democracy where elections are transparent, credible, free and fair. 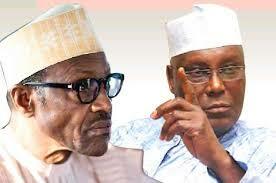 The ruling party said it is a pity that the once boisterous PDP, having undermined the country for 16 years through mindless undemocratic actions, has now become a caricature of a political party. APC said it is sad that the PDP had continued to take Nigerians for granted, thinking by embarking on scaremongering, the voters could forget their wanton crimes. The APC called on relevant agencies to monitor the PDP, saying its recent utterances are a red flag and that the nation must prevent a reoccurrence of the PDP’s typical undemocratic practices during elections.